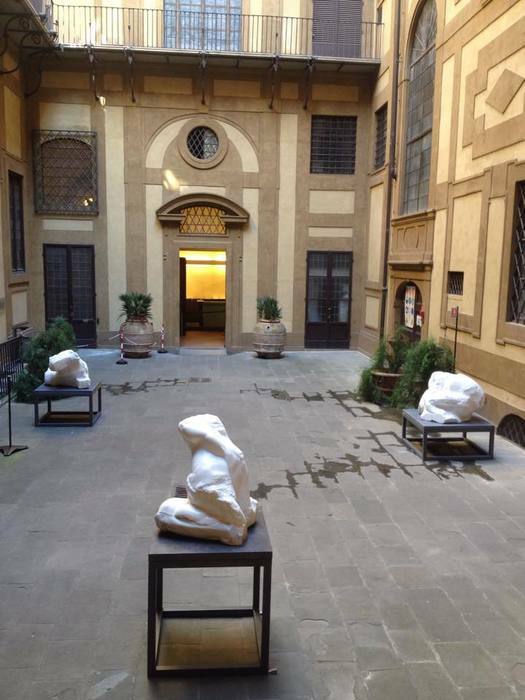 Where Pain Becomes Beauty is an exhibition at the Palazzo Medici Riccardi, in Florence, presenting 19 works by the young Iraqi-Italian sculptor Athar Jaber. Several members of the international art community opened the exhibition with a series of talks and discussions on "Poly-cultural Identities," examining topics related to the blurring of national narratives and cultural boundaries. Both the exhibition and the debates spoke to the ideological nature national identity, opening onto themes that coincide with a number of current events: the attention that the Iraqi pavilion at this year’s Venice Biennale has received, the destructive influence ISIS has had on national heritage and identity, and the effect of globalization and mass connectivity on art. Athar works exclusively with marble, creating sculptures that frequently reference the human body. The bodies that he creates, despite the classical association we make between marble and the representation of the ideal human form, are broken, contorted, deformed, and mutilated. 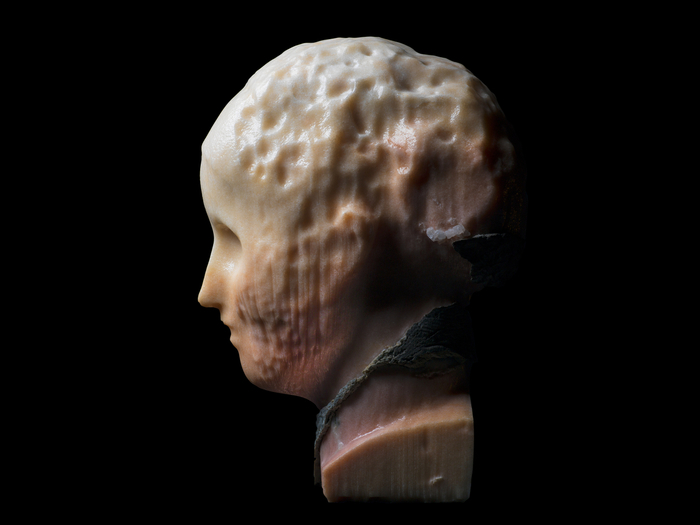 He utilizes a series of techniques to treat the marble, including acid erosion, sandblasting, and shooting—all of which contribute to an eerie aesthetic of physical vulnerability and decay. There is an intrinsic element of destruction present in Athar’s work—committed against a material considered beautiful—suggesting violence as a basic human condition. Some of the faceless busts in the exhibition have been treated with acid, drawing connections to the violence committed against women (in South Asia, acid throwing is often a crime of retribution against women). The sculptor also shoots bullets at his sculptures, recalling the recent devastating events such as ISIS’s destruction of cultural heritage. 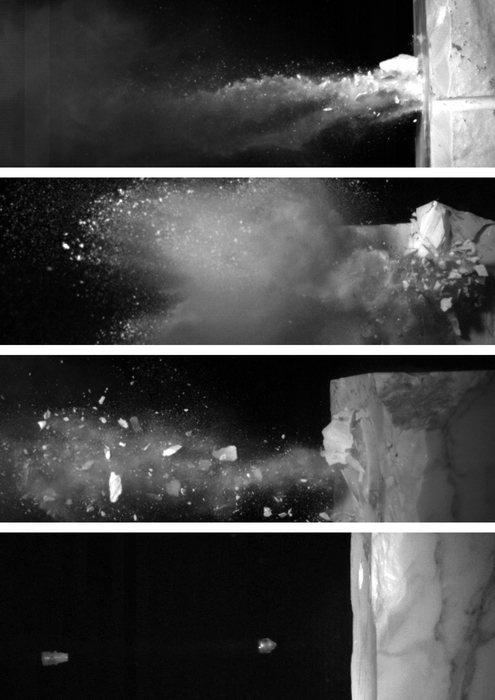 The violence he inflicts on marble also refers to time’s passage and its natural effect on matter—the eventual and inevitable decay of all that is material. At their core, both the exhibition and the conversation surrounding it pointed at national identity as an ideological mechanism, rather than a fixed condition that may determine cultural output. In Athar’s works, this sentiment comes through in his emphasis on our fragile material condition, where national narratives and cultural boundaries become irrelevant factors: at the end of the day, we are all matter. The panel talks reached the same basic viewpoint, with subjects including the importance of national affiliation in understanding oneself and the differences between the local and the diasporic. Speakers also considered the challenging task cultural facilitators like curators and critics have in approaching art in a time when the idea of weakening cultural boundaries has been closely examined in the past couple of decades. Participating speakers included Philippe van Cauteren, curator of the Iraqi pavilion at the Venice Biennale, Riccardo Lami, the head of branding at the Palazzo Strozzi Foundation, Sultan Al-Qassemi, the panel’s principal organizer and founder of the Sharjah-based Barjeel Art Foundation in the UAE, and Athar himself. They addressed the need for a move away from past conceptions of cultures as singular pockets that define personal and collective identities. In conversation with one of the exhibition’s curators, Neri Torcello, van Cauteren suggested that we still approach identity, national narratives, and art from a Western perspective, carrying fixed prejudices. A possible solution to this condition might be to think of culture as community-building, while learning understanding and tolerance. Van Cauteren additionally noted that looking at the local and the diasporic in terms of differences is unproductive. There is no such thing as art that is specifically Italian, Belgian, Iraqi, or Brazilian—these delineations in art are more fluid and ideological rather than determinant and static. Indeed, in a conversation with Sultan Al-Qassemi, Athar noted that he is not interested in having his sculpture represent a particular national narrative, despite his Italian and Iraqi roots. This sentiment seems to be common today when, to some, nationality no longer carries a powerful, underlying affirmation of one’s identity. This transition could be attributed to the effects of cosmopolitanization and connectivity in our transition into “global citizens.” Riccardo Lami added that technology and the knowledge we have of the world that surpasses borders or boundaries changes how we see and understand contemporary art today. Athar’s sculptures steer away from personal or national identity politics in favor of outlining common denominators across cultural time and space: violence as an intrinsic factor in human nature and time’s entropic effect on matter. Things fall apart. Destruction, whether gradual or inflicted, is an inevitability. 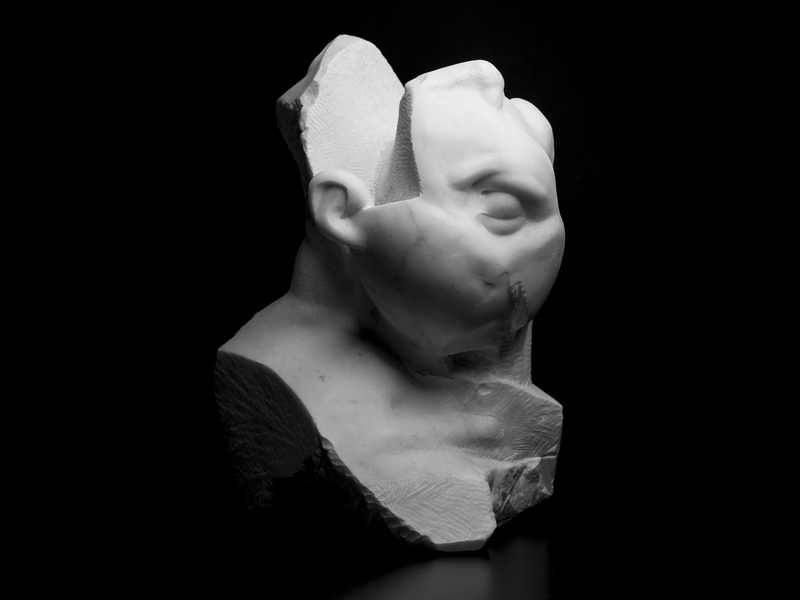 Carving, chiseling away at marble, is often associated with classicism and beauty, but this form of sculpting is also violent; it's an inherently reductive process through which a pristine surface is transformed or manipulated into something new. Athar's sculptures emphasize this violence, while also suggesting entropy as a calming, aesthetic process. In his destructive acts of art-making, the artist gives time a hand, proposing violence as innate, whether it is used to damage and maim or to produce beauty. Where Pain Becomes Beauty was curated by Neri Torcello and Yan Blusseau and runs from July 2–31 at Palazzo Medici Riccardi, in Florence. The panel discussion "Poly-cultural Identities" was organized by Sultan Al-Qassemi, and included the following participants: H.E. Saywan Barzani, Philippe van Cauteren, Riccardo Lami, Tommaso Sacchi, Sultan Al-Qassemi, Athar Jaber.